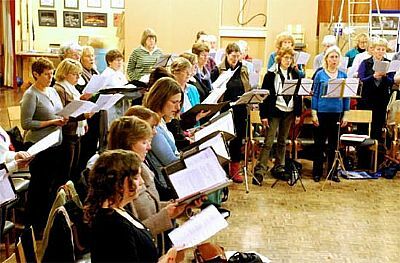 Kings Lynn Festival Chorus is choir that is open to anyone able to sing and who has a basic knowledge of music. Membership is by a short audition. We rehearse through most of the year, with breaks over Christmas and August. 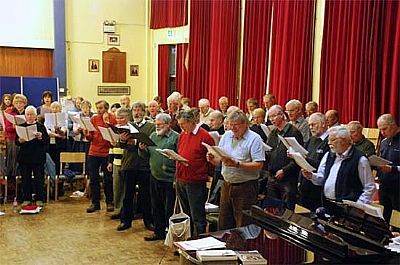 Weekly rehearsals take place on Monday evenings from 7:15pm until 9:45pm in the main hall at Springwood High School or St Nicholas' Chapel in King's Lynn. From time to time additional rehearsals are held on other evenings, usually immediately before a concert weekend. A rehearsal schedule is produced and distributed via email at the beginning of each term. It is important for the benefit of the whole choir that members attend regularly and a weekly register is kept. Everyone is expected to come to at least 75% of the rehearsals for any concert and anyone who does not attend sufficient rehearsals will only be able to perform in the concert with the permission of the Music Director. If you are unable to attend a rehearsal it is important to let the Secretary know in advance if possible. Everyone singing in a concert performance must attend the concert-day rehearsal. Things to bring to rehearsals: Your music, a soft pencil (B – or softer) for marking up the music, a bottle of water and a mug if you would like a tea or coffee at break time. Anyone thinking of joining the choir is very welcome to attend rehearsals either to sing or just to sit and listen. If you wish to join you would be expected to attend 3 or 4 rehearsals before taking a short audition. The audition involves simple voice tests and short performance of a song of your choice. If you want to try us out, please contact the Secretary prior to your visit or ring 07826161868. People are encouraged to own copies of these books. After three or four weeks of attending the chorus a short 10 minute audition will be arranged prior to a Monday evening rehearsal. This is a simple and friendly interview with the Music Director and Accompanist involving the repetition of a few simple scales and arpeggios and the singing of a short song (of your own choice) which has been prepared in advance. Auditions are always carried out in a warm and supportive manner and an answer of success or otherwise will be given immediately. If you are not thought to be ready to join the choir suggestions may be made about how you could prepare yourself to join at a later date e.g. by taking singing lessons. The annual choir subscription for 2018/2019is £156 payable in October after the AGM. By arrangement with the treasurer payment of subs may be made in three equal instalments. Reduced Fees Policy - Full annual fee is payable unless a member is under 21 years of age and in full time education when a 50% reduction is available. In addition, you will have to pay for the hire of the music scores currently in use. Music costs are paid separately to the Librarian.